Normal Opening Hours (some exceptions apply): Open daily: 10 a.m. to 10 p.m. Parking : Carpark is open from 7am - 11pm. Parking is free. 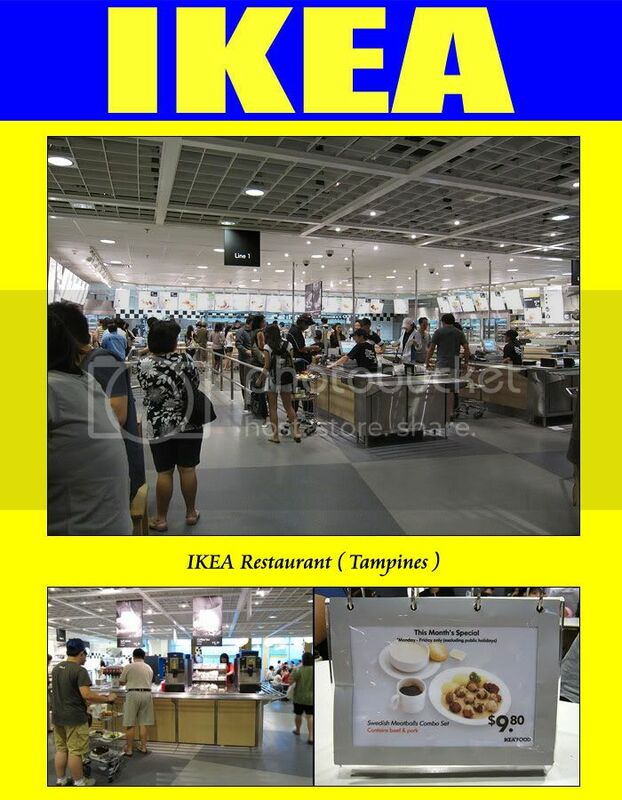 Dinning out at Ikea ... one cannot miss out on the famous Swedish meatballs, unless you do not take beef, like me. That's one of Simon's favourite food. He swear by it ... super yummy good. 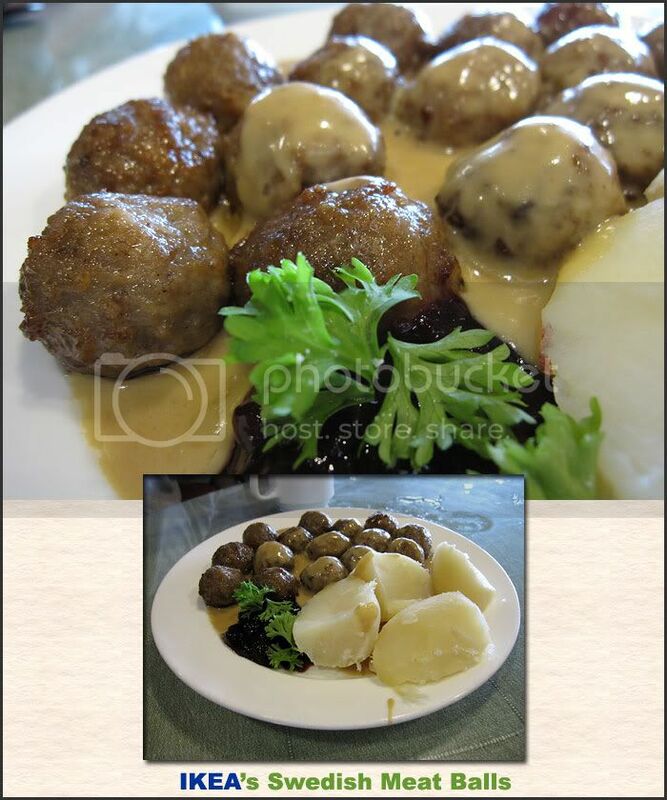 Made from pork and beef ... the meat balls consistent in shape, size and taste. Served with potatoes, strawberry jam and a creamy sauce. 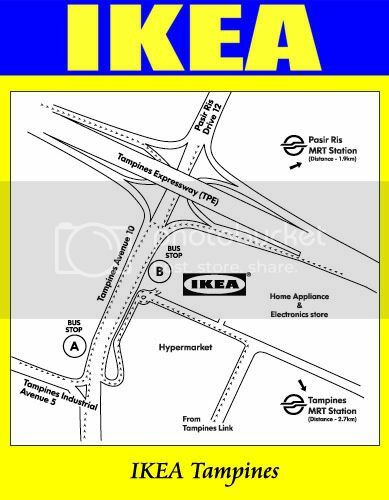 However ... the thought of travelling all the way to IKEA Alexandra always overrules that cravings. 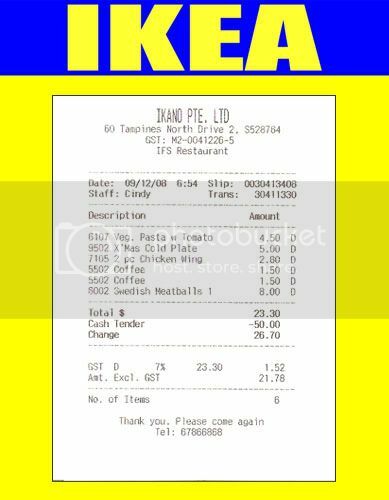 With the opening of IKEA Tampines, we gave it a try and according to Simon ... the balls were as yummy as it used to be. 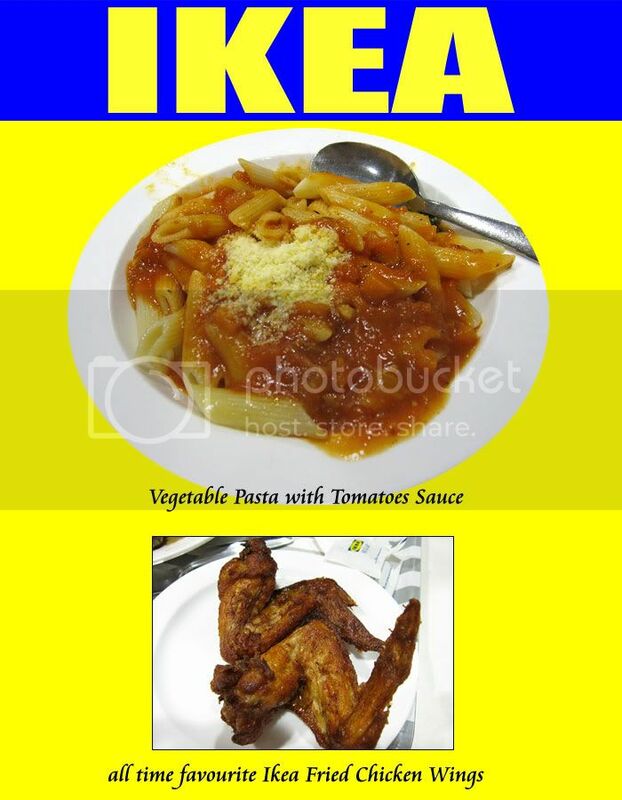 I had the vegetable paste in tomatoes sauce and fried chicken wings. Very nice, especially the wings. I'll give it a 4/5 if I have to rate it. As it's nearing X'mas ... they have the X'mas Cold Dish. 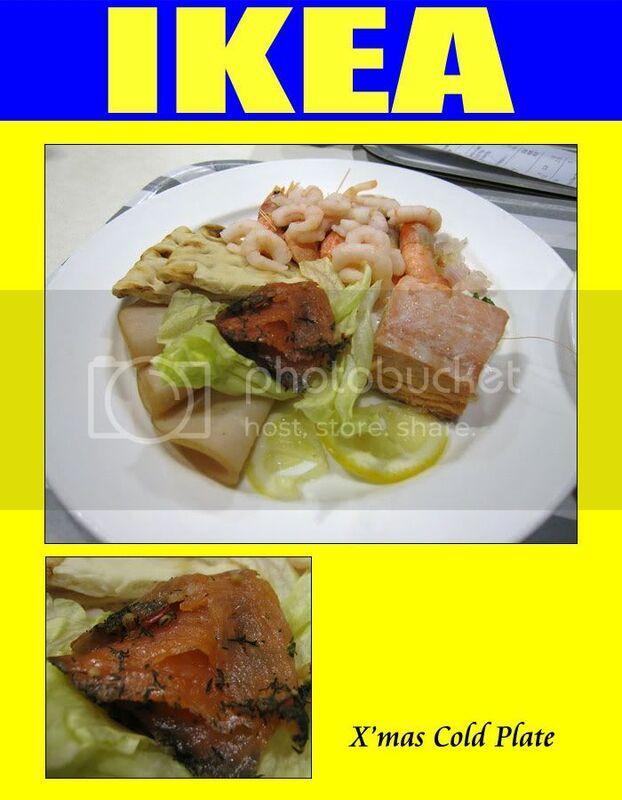 Didn't fare well for this dish, the salmon was overly salted. but the service of the counter staffs were fast. It did not take as long as you might think to complete the rounds and be seated at the table to enjoy a nice meal. 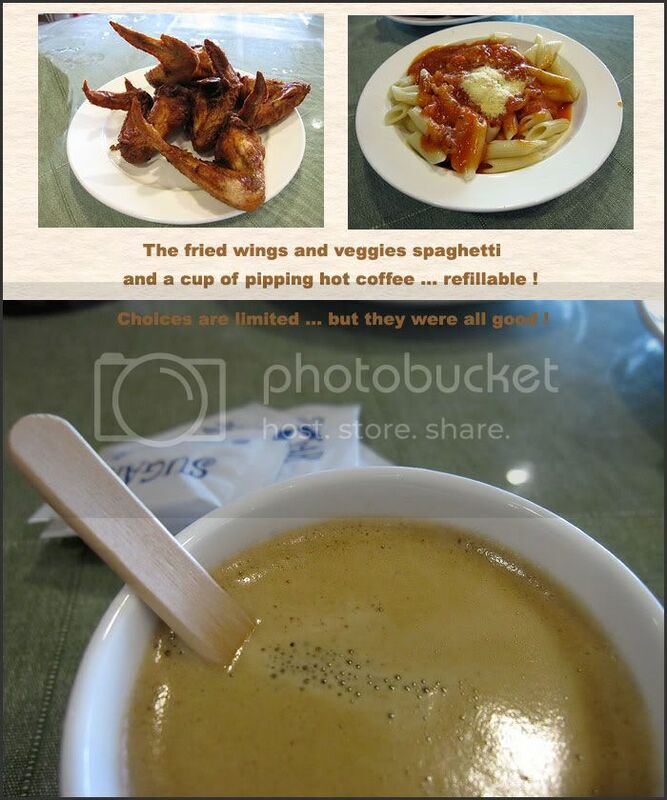 Be it the good old Alexandra or brand new spacious Tampines .... this restaurant is always crowded with people. 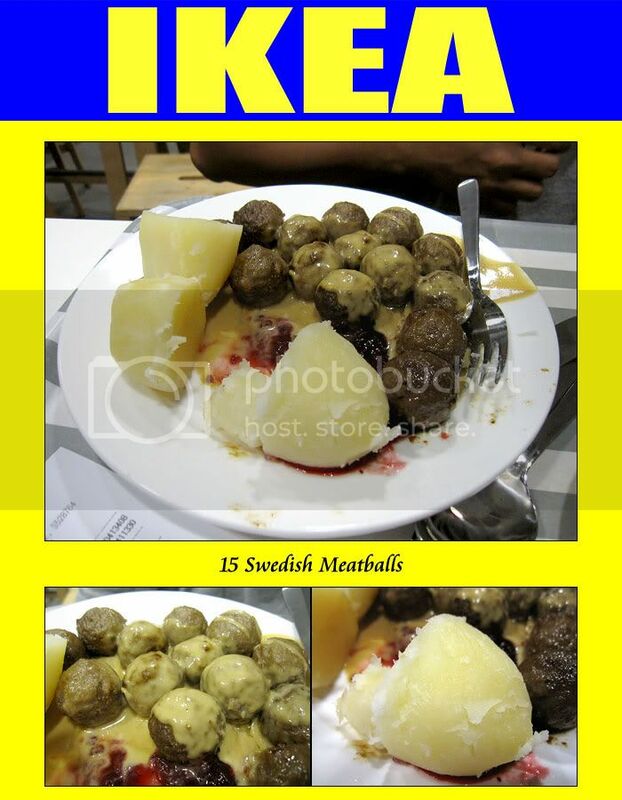 and thought will drop by the cafeteria for some Swedish Meat Balls. I had wanted to eat the Chicken Curry but it was taken off the menu that day. It's good curry chicken at a good price. Well see if they will put it back on its menu. The usual wings n pasta for me and 15 meat balls for Simon. A hungry man is an angry man ! You have to try it out yourself to find out ... it's tasty combination.